Matt will be on the new Notre-Dame de Paris Tour! Matt will join the new 2012-2013 tour of Notre-Dame de Paris and will go to Moscow, China, Taiwan and Japan. It’s gonna he english version just like last year. After more than 550 shows playing Quasimodo, the Huntchback and since 1999, Matt is always very excited to be part of this great musical and is ready to rock it again! back in September I would have been angry sooner and would have ranted about it then. I just thought this Tour was just a little disorganized since there was no website or even announcement of dates except for Elicia MacKenzie’s site. I thought tour dates were being delayed as her site because it only went up to the Japan perfomance dates (of which was wrong on the length the production was in Tokyo). I was wrong in my assumption but then again I thought this tour WAS TOURING THE WORLD, not a portion of a Continent. The fact is after the Asian Tour they turned around and went to more or less the same places. How can they call it a World Tour when they pretty much only went 4645.96 miles/7476.74 KM? Why did they bother at all when they only really added was Moscow and Japan to the mix? And Russia has been getting the Original troupe concerts since 2010, so they are not hurting to Notre Dame de Paris attention. I find it odd that for both the Asian Tour and the World Tour rehearsed in Paris but no performances occurred or even was planned there. But I also find it insulting that most of the principle cast is Canadian and yet there hasn’t been a performance in Canada (or North American) since 2005. Quite honestly why would you have two Tour Casts less than a year apart tour in same relative locations and one under a name that denotes more places? I mean, did they try for performances in more locations and fail? I admit, I have no idea how musical tours operate. Wait I’m going to find out……………one sec………. Ok, so whoever the tour manger and the booking agents were are to blame. I have to guess that in utter laziness they just went to same places in China and Taipei. Moscow is easy since they already love the show the only risk was Japan. The time between the Asian Tour and “World Tour” was so on top of each other that I didn’t even know they were separate tours. Originally, I thought the Asian Tour was the World Tour, and it confused me. And now I know I was not really wrong the World Tour was just the Asian Tour 2.0. I just wish they had called a spade a spade and didn’t call it a “World Tour” when they never left a continent. Perhaps there will be another tour cast that will leave the Asian Continent. Or maybe I should start my own tour cast of the show with sock puppets. I’ve only heard a few songs from the English version and not all of them are awful. Belle is alright. But most of the others just have really awkward lines. “rainbow colored skirt”? And a lot of the lyrics feel like they tried to cram to many words into one line. I still feel that with a few major lyrical revisions it could have hope. 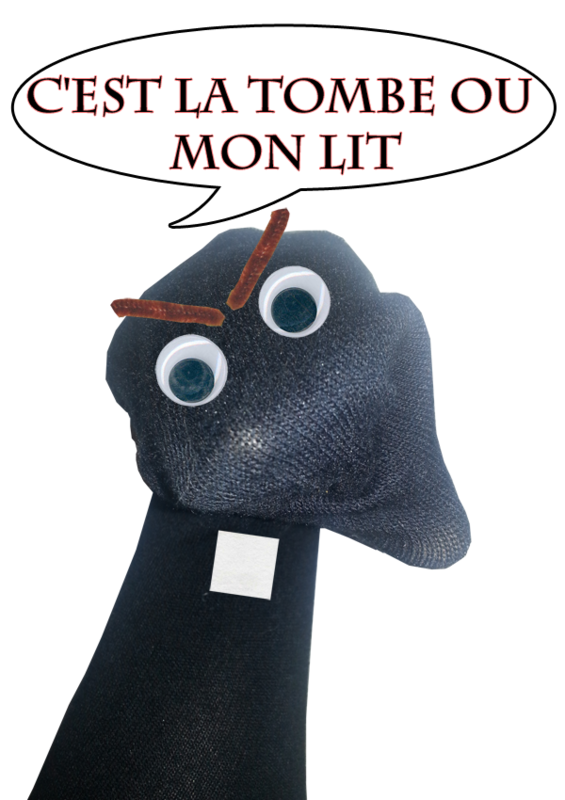 I support Notre Dame De Socks all the way! The first version of NDDP I heard was sadly the Las Vegas epic…because of that, I kind of hated it for a while. But then I heard the songs in the original French and it was AWESOME! Granted if there were an American tour and it was in English, I’d save up the money and see it. I’m glad I didn’t really get my hopes up about this “world tour,” but I do hope they’ve come up with better English translations by now. I listened to some clips from the Las Vegas version and it was cringe-inducingly awkward. No poetry or nuance at all. That said, I support the Intergalactic Sock Puppet Tour of Notre Dame de Paris and I have a lot of unmatched “cast members” that I can provide. I tend to agree, I have never been a fan of the English version but from what little I have heard from the Asian Tour and the “World Tour” cast is wasn’t as bad as Las Vegas cast. However had an English cast version come close enough I would have made an effort to see it. I don’t think there will ever be a better English Translations, as William Jennings did the lyrics and he was the Lyricist for “My Heart will go on” so there is a prestige with him and his “lyrics”.